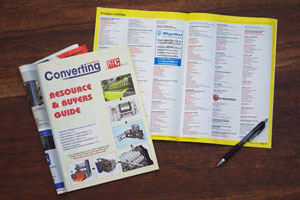 Converting Solutions, A PFFC Brand is a premier business-to-business publication designed specifically to address the information needs of the busy buyer of the converting, packaging printing and graphics industries. 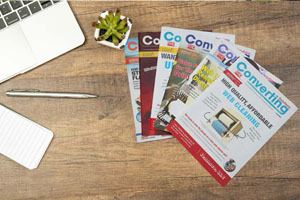 Converting Solutions uses print and digital publications to communicate monthly with professionals who are ready to buy products. PFFC is an all-electronic, on-demand, 24/7 resource in which recognized experts and experienced staff assist converters around the world to become more efficient and profitable in their manufacturing and business practices. • Video Advertising (we're the only publication with a Video Guide organized by category and making this work with our Featured Videos in E-Clips). Our targeted E-Blasts through PFFC have generated excellent results. We are seeing quality inquiries based on the content of our E-Blasts, primarily from new prospective clients. I first came into contact with PFFC in 1989 when I began providing PR services to Graphic Packaging Corporation, at that time part of the Adolph Coors Company. Nine years later, I launched my own agency, focusing on packaging and converting companies, and was fortunate to keep in contact with the PFFC editorial staff. Over the past 20+ years, I have sent the publication countless news items, and found that each news release I submitted would ALWAYS be weighed solely on the basis of its relevance to the PFFC readership. The entire professional staff possess a commitment to editorial integrity that is simply unlimited. Identify and capture the attention of subscribers who need your products and services and drive traffic to your website with a targeted message in this newsletter that reaches 12,000 subscribers. E-Clips contains timely, concise news, new products, feature stories, blog posts, videos, white papers, and more. E-Clips is delivered to subscribers weekly. Sponsors can choose to advertise in Cycle 1 (Weeks 1 and 3) or Cycle 2 (Weeks 2 and 4) of each month. Pricing is based on one cycle (two issues) and sponsors have the option to purchase both cycles in a month. Space reservations close Monday, one week prior to deployment. Dominate any E-Clips by running THREE ads - you can own the Top, Middle, and Lower ads to saturate the newsletter from top to bottom with your message. ad in all 3 spots! 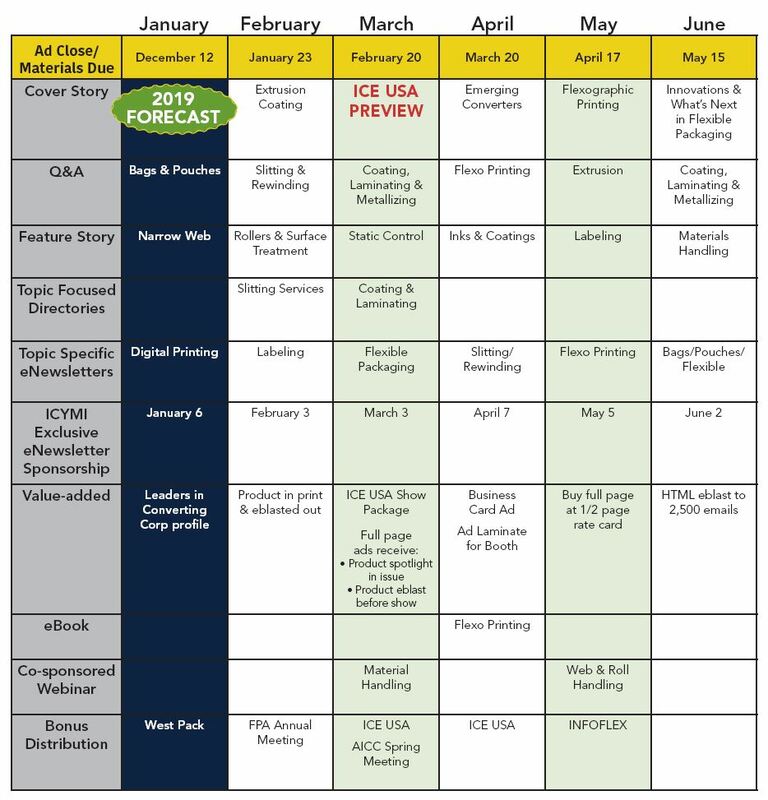 Align your company by being a sponsor of our various eNewsletter topics throughout the year. 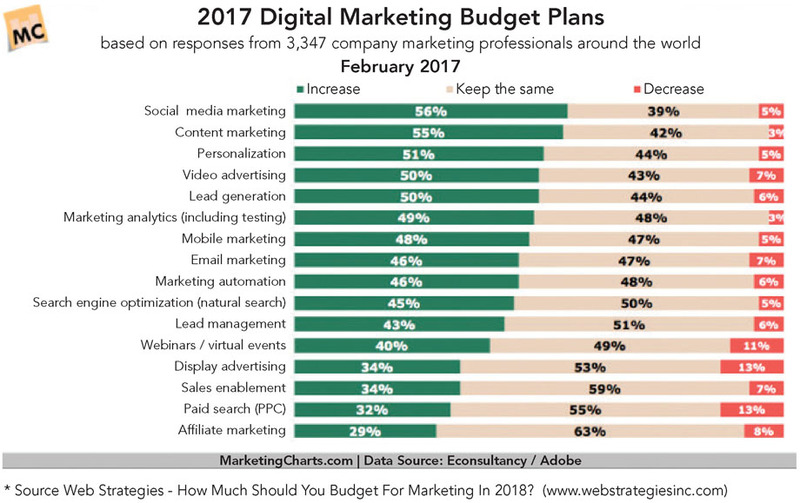 As a small advertising and PR firm representing several clients in the converting industry, we work hard to get our clients' message to the right audience. We always recommend PFFC as the best place to start. Their team has years of experience serving this industry and their market knowledge and industry reach is second to none. 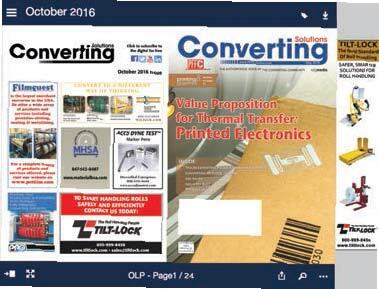 Sponsor a monthly issue of Converting Solutions. You receive a banner ad with a link on the eBlast that goes to 70,000 readers. In addition, a banner linking to your website will be included in our digital publication — all for one very low price. We can place an ad to the left of the cover and at the top of the page that is exclusively owned by your company. Contact your account executive for specifications and availablilty. Turn your ad in our digital edition into a live interactive experience by placing your video over your ad. When users flip the page the video will start to play automatically. Include your video as a "Featured Video" within our weekly e-newsletter, E-Clips, pushing the video out to our 12,000 readers. This includes an image of the video with a play button, a 50-word description about the video with a website link. And your video will be the "Featured Video" on the PFFC website Home Page for the same two weeks as it appears within E-Clips. We will send you the click results to your website link and the video link to show how responsive our readers were to your Featured Video within E-Clips. Extensive PFFC Video Guide is sorted by industry category. We will include your video at any time. For maximum exposure, your company can be an Exclusive Sponsor of any specific video category! We include "Featured Videos" in our E-Clips e-newsletter at least twice a month driving our subscribers directly to the Video Guide. As an exclusive Video Category sponsor, our readers would see ONLY your ads when they are viewing your category (even if they are viewing a competitor's videos). Sponsor our On the Floor eNewsletter eBlast. 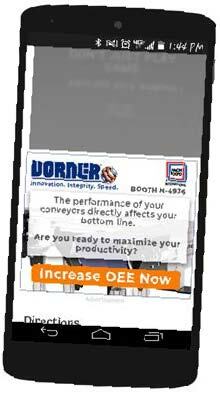 Dominate any day(s) exclusively of a trade show with our On The Floor eNewsletter. We will write content on the trends, must-sees and seminars. You would own all of the ad units in each day(s) newsletter that will get deployed to our emails early in the morning. 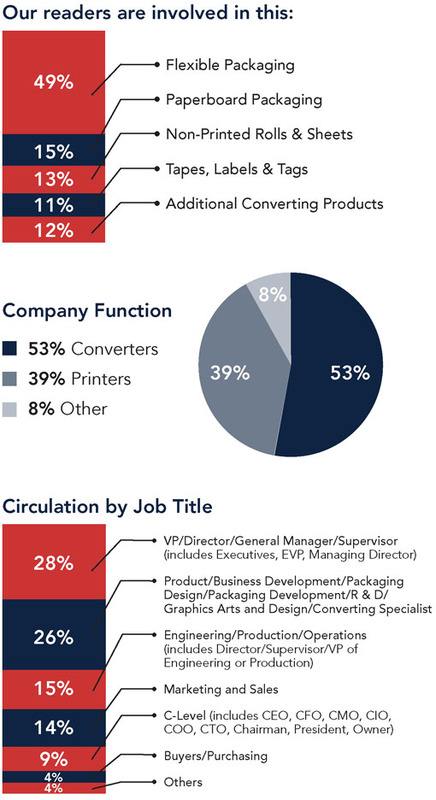 Do you have a white paper or case study you want to get in the hands of new leads? Send us your case study or white paper with a subject line, headline, 50-75 word description and a link and we will blast it out and generate leads for you. E-Blasts reach 12,000 readers. We mail E-Blasts on Thursdays and reserve some Wednesdays as "make up" mailing dates. We do not mail two "Product" or two "Service" E-Blasts in the same week, so we don't over-saturate our readers with similar messages. We'll send you a test mailing to make sure it looks and works as you intend. Test the knowledge of our subscribers, supply the questions/answers, generate leads, offer an incentive, great way to be looked at as a thought leader! We will market these for a month. Showcase up to four products or equipment that will get blasted out! With the Product eBlast, you promote your products and equipment in a dedicated eBlast. You send us up to 4 product images along with a headline, a 75 word description and up to 4 links for each product. Be the EXCLUSIVE sponsor of either one of our articles or supply us with one of yours. Provide us up to 3 white papers that we will house on our site and drive attention to it. Be a sponsor of an all-inclusive topic focused eBook that will generate lots of leads from deploying it out to our 12,000 email. Be looked at as a thought leader by doing a 30-60 minute presentation to a captive audience. Generate high quality leads from industry professionals looking to learn more about the webinar topic. Sponsor A Lead Generating Webinar Today! Sponsor a 30-60 minute webinar exclusive topic to your company. We find the speakers and we do all the work driving registrations. • Receive "Top of Home Page" News item on PFFC website on the same day your company appears in E-Clips as "Company of the Week." • "Company of the Week" mention on PFFC Social Media Pages - highlighting your brand and NEWS item. 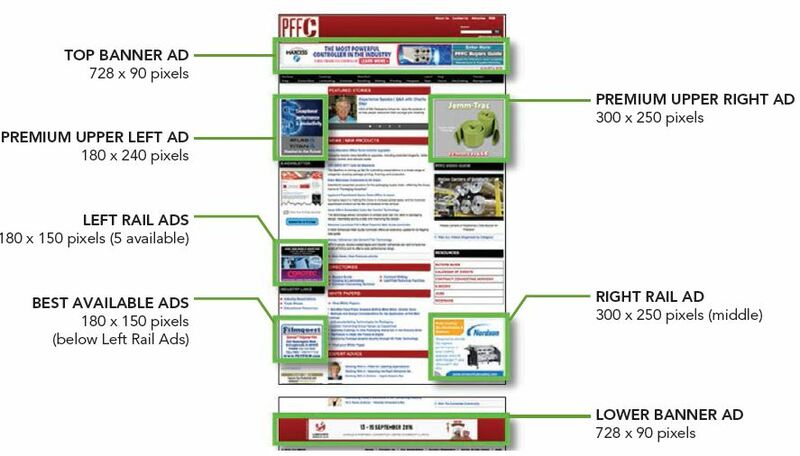 Ads on PFFC-online.com combine IAB-certified placements and advanced ad management technology to provide maximum visibility throughout the PFFC website or within exclusive pages owned by one advertiser. 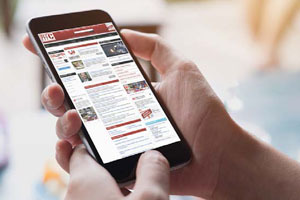 Category content landing pages quickly connect our readers with timely news, commentary, and the latest technological advances on the most important converting topics. These high-interest pages are designed to draw traffic from search engines relating to specific content. Promote your upcoming auction! We will include your company logo, a description of what is available in your auction with a direct link to your website. Geo Fencing - What we do is basically draw a digital "fence" around an area we would want to target. Imagine the entire building where you are exhibiting or a small, more intimate conference anywhere in the world. We begin targeting their mobile device and once they open one of the over 300,000 Applications and Websites we have agreements with, we will then deliver your specific message to their device. This can be a Cell Phone, Laptop or Tablet. We can geo-fence any trade show, convention, YOUR TOP PROSPECTS, association meeting or even a competitor's location. Event Targeting - Re-target prospects that were captured during a specified event for up to 30 days following the event. Keyword Targeting - There is no limit to keywords. We just want to plan out your keywords correctly, then it will work for those in the area that are looking for you offer. Unlike Pay Per Click, we set a keyword and they don't even have to go to your website, the program begins targeting them and will deliver your ads to them simply because they did a keyword search. Website Re-Targeting - Basically, anyone that comes to your website, we can begin immediately following them around the internet and delivering a special message to the user to drive them back to your site and this increases conversions. This is a VERY important tool for anyone that has a website nowadays! Site Re-Targeting - Site re-targeting is marketing to those who have been to your website. This is the most common type of re-targeting. Contextual Targeting - Contextual targeting allows you to target your ideal consumer based on habitual tendencies. Our Annual Buyers Guide will be in our August issue — don't miss out by getting your listing in print and also online. You can purchase an upgraded online package at any time throughout the year. Choose from our many options at a very affordable rate and we will bill you monthly if you want!
? 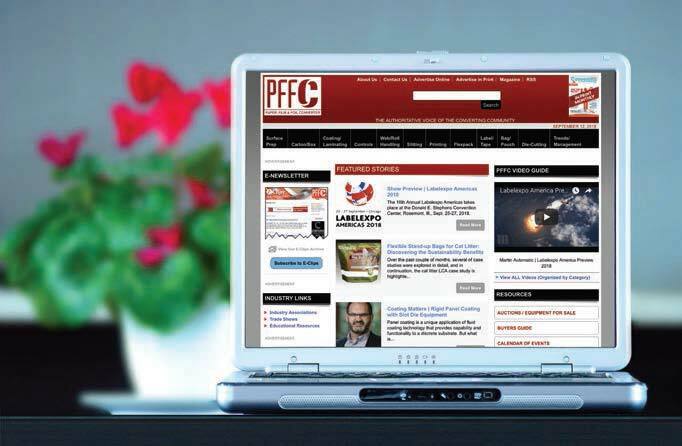 Affordable way to increase your SEO by having a web link on the PFFC site linking to your website.
? Priority Search Results with Company Name towards Top of Page 1 Category Results for ALL Categories.
? Logo and Company Profile, up to 150 words, on Company Page.
? Additional Information Tabs (product lines, distributors, locations, manufacturer reps, and territories).
? Highest Priority Search Results (Logo and Company Name appear at Top of Page 1 of Category Search Results).
? 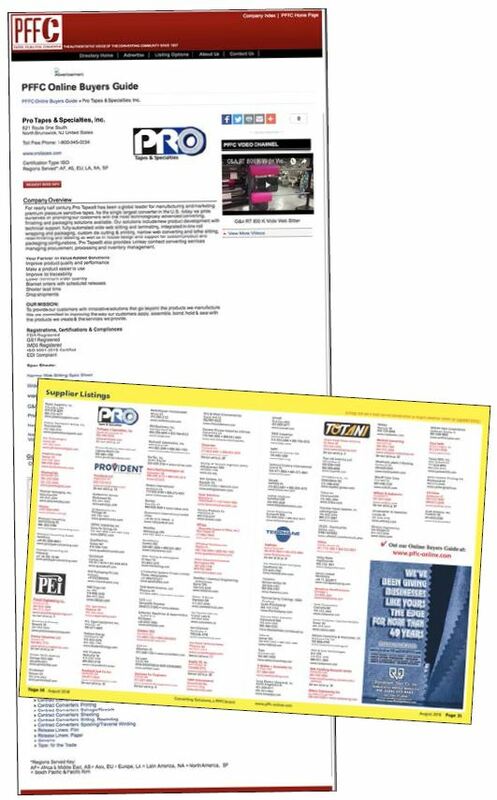 Listed as "Featured Company" with Logo on PFFC Buyers Guide Home Page.
? Logo and Company Profile, up to 300 words, on Company Page.
? Full Media Package: Exclusive Video Players with two videos on Company Page and Links to Product Pages on your website.
? Every quarter, Your Company, Logo and Company Profile intro listed as a "Featured Company" in our E-Clips e-newsletter (mailed to 11,300 readers). 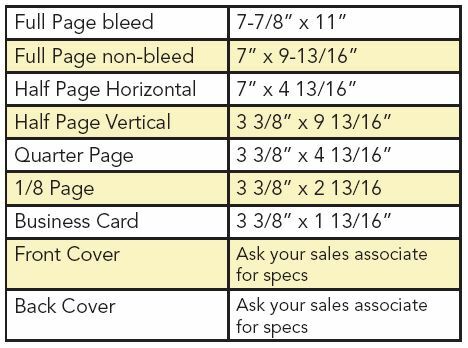 Publication Trim Size: 7-5/8" x 10-3/4"
Keep all live matter 1/4" from all trim edges on bleed pages. 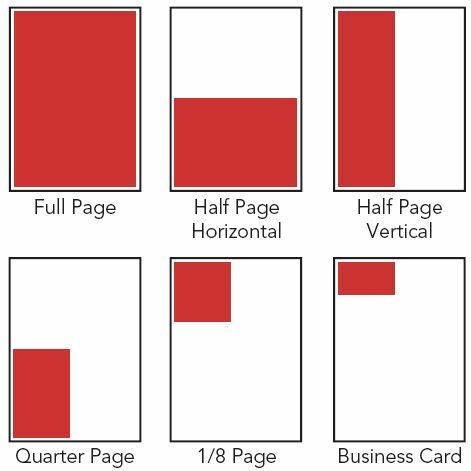 All above dimensions are width x height. 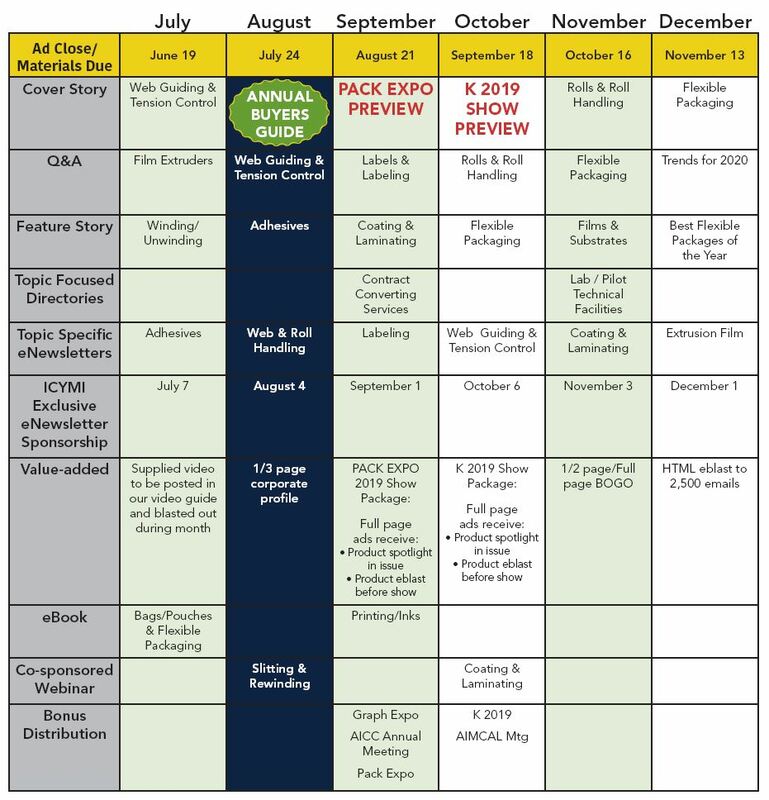 ALL NEW AD COPY IS DUE ON OR BEFORE THE DUE DATE ON OUR DISTRIBUTION SCHEDULE. Any advertising copy submitted after that time will be placed in the following edition. Cut-off may vary on special show issues, so please consult your marketing consultant for details. Photos should be processed at a resolution of no less than 240 dpi and at 100% of the printing size. Corel Draw, Word Perfect, Powerpoint, Excel, Pagemaker, Microsoft Publisher, True Type Fonts, or Window Fonts.